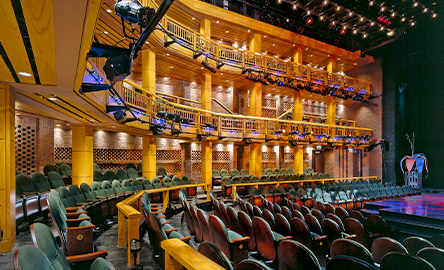 The unique architecture of our 500-seat courtyard-style theater was inspired by theaters in early modern England, and evokes the design of Shakespeare’s Globe and the Royal Shakespeare Company’s Swan Theatre. The three seating levels—Main Floor, Dress Circle and Gallery—wrap around the thrust stage, fostering an intimate, immediate relationship between actors and audience. 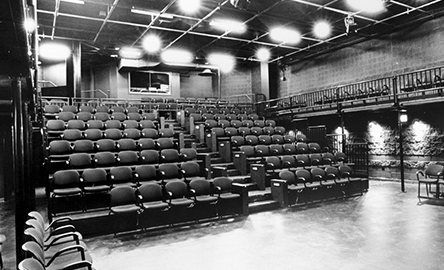 The theater Upstairs is a 200-seat venue in which both the stage and seating configuration can be arranged in a variety of ways—suiting the creative choices of our artistic team with practically limitless versatility. Through our partnership with the City of Chicago, Chicago Park District and leaders of Chicago’s corporate community, we bring professional Shakespeare productions, free for all, to neighborhoods across the city. During the summer months, a specially equipped truck rolls into each park and unfolds into a pop-up stage. 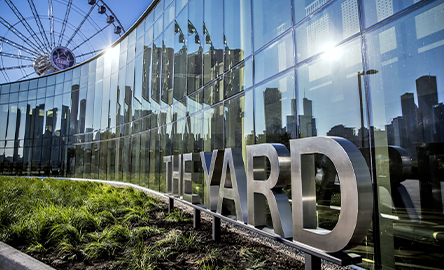 Our spacious lobbies for the Courtyard Theater invite patrons into an open, split-level space with floor to ceiling windows on both levels—dramatically showcasing Chicago’s lakefront. Members of our Guest Services team warmly welcome patrons upon arrival, and are on hand to accommodate any needs you may have during your visit. For guests attending a performance in our theater Upstairs, the Skyline Lobby on the sixth floor offers some of the best views in Chicago—including a spectacular panorama of Chicago's Museum Campus and lakefront. 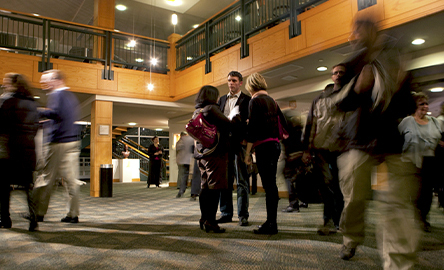 It's the ideal place to gather with friends before heading into the performance. 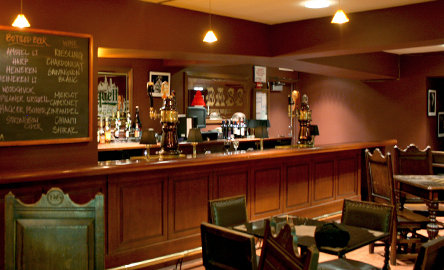 Situated in a cozy corner of our lobby, the Pub is a perfect spot for a pint and conversation. This full-service bar is open before the show, during intermission, and up to an hour after the curtain comes down. You can also pre-order drinks before your performance, and they’ll be waiting for you at Intermission. 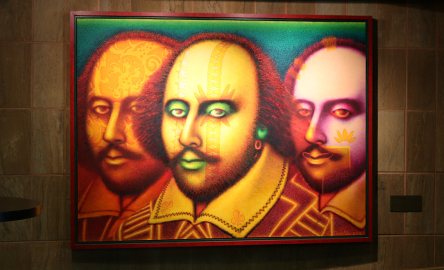 Near the Theater's Pub audience members will find Sonnet, an oil on linen painting created by celebrated Chicago artist Ed Paschke (1939–2004). Commissioned by the Theater and on permanent display in the lobby, it depicts three striking portraits of Shakespeare in one frame. 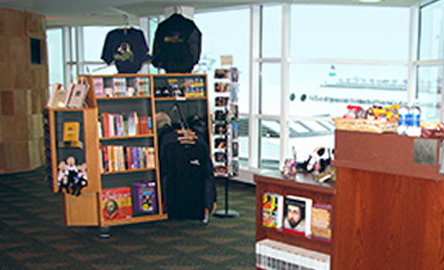 More than a gift shop, the Bookstall is filled with books on the people, craft and literature of the theater, as well as Chicago Shakespeare signature gift items. Stop by before the show or during Intermission to find a special something for yourself, or a unique gift for a theater-lover in your life. 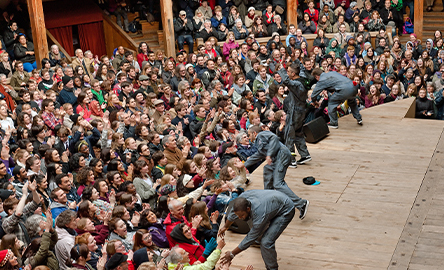 Thousands of tickets are allocated across the entire season, giving students and young professionals the opportunity to see world-class theater at an everyday price.